I realized today that God is not holding anything back from me. So often, I have conceived of my life with God as being a series of steps and long waits in between. The Holy Spirit would show me the next step I was to take, I would (ideally) take it, and then I would wait for the next step. Sometimes the wait would be very long. In these times, I have tended to think that God is training me, disciplining me, teaching me to wait. In a sense this is true. Over the years, I have gotten more accustomed to this rhythm of stepping and waiting, trusting in God to provide the next step when the time is right. This path has been a training in trust, learning that God is reliable and will give me the guidance I need when I need it, as well as the spiritual sustenance that I need to survive in an often-dark world. Yet, there has been a shadow side to this model through which I have understood my relationship with God. Often, I think I imagined that the Lord already knew what the next step was going to be, but that he simply held it back from me. I think I imagined God as a parent who forbid me to open my Christmas presents before Christmas morning. I wanted to open my presents, but my Father would not let me! I do not believe that this is an accurate representation of God’s relationship with us. I do not believe that God holds back anything beneficial from us. If there is a next step that is ripe, I believe God reveals it to us. Why wouldn’t God? God loves us and wants us to experience the abundant life that his son came to reveal. When I experience times of darkness and uncertainty, when God seems to give no answer to my prayers, I do not believe that God is holding out on me, giving me the silent treatment. When I wait on God for guidance and nothing seems to emerge, I think it is because God is waiting, too. Because we live in history, the path that Christ leads us in is contingent on the decisions of others. God responds to the choices of humanity, and the next step forward may depend upon how or whether humanity takes the step that is presently before us. Furthermore, the next step for me may be contingent on the decisions of other people. My service to God is in the context of community, and my work will look different depending on the condition of those around me. If all of this is getting too philosophical, forget it. To put this all far more simply: I love God. I believe that God does everything to bless and strengthen the creation. I am increasingly convicted that my failure to understand or appreciate how God operates is not a sign of God’s failure to treat me right. Instead, it is my failure to see that God has already given me everything that I need for the present moment. I pray for God to teach me greater patience. Remake me, Lord. Create in me a willingness to wait as long as it takes in order to be faithful to you and those whom you love. I’m particularly pleased to hear how helpful my post on freelance ministry vs. the Body of Christ was for you. This reality of “body-ness” is really changing the way that I live and grow in Christ, and I am eager to share my experience in this regard with others. It is such a treasure, and I want to do everything I can to help others live into this reality. Unfortunately, as we both know, such a way of life is not something we can achieve on our own. I mean this not only in the sense that this is work that God must do within us, rather than something we do ourselves; this is certainly true, but it is even harder than that. Living in the Body of Christ depends on other people and their response to the call of Christ’s Holy Spirit to live as members of the True Vine. We cannot live in the Body of Christ without other disciples of Jesus who are also willing to take his yoke upon them. We can take first steps in faith, but ultimately we rely on the faithful steps of others. I have been thinking about your question a lot during this past week: What can you do where you are? How can you become an agent for change within a freelance ministry culture? This is a hard question, and one that I have dealt with in the past as a member of another Yearly Meeting before joining Ohio Yearly Meeting. To provide a direct answer, I must begin by asking more questions. First of all, are there committed, Spirit-led Christians within your Meeting? Your Yearly Meeting? Your wider circle of Christian fellowship? Consider unilaterally submitting yourself to their care and oversight. Allow some disciples of Jesus whom you trust – women and men of spiritual maturity and depth of Christian commitment – to serve as your spiritual elders. Communicate with them regularly, and be open to changing your plans and even beliefs based on their guidance and the inward prompting of Jesus in your heart. These relationships will provide the fundamental support for your ongoing ministry, which will almost certainly be fiercely challenged as time goes on. Make sure that these relationships are strong before venturing out. Now, more questions: Do you sense that you are being called to the work of nurturing the development of the Body of Christ within your local Meeting? Do you sense that there is an opening for you to begin enfleshing the Body of Christ in your local Meeting? If so, you might consider approaching your Meeting’s Ministry and Oversight (aka Ministry and Counsel or Ministry and Worship). You could lay your concern before them, asking them to consider how they might be called to begin (or deepen) a life of accountability and mutual submission within M&O and in the Meeting as a whole. Be ready to submit yourself to these Friends, too, if they respond in faith to the Holy Spirit. Be ready to be challenged and changed as the Meeting is challenged and changed. This is a time when you will need to rely heavily on your core of elders who can support you and serve as a check to the feedback you receive from your Meeting. If you do indeed feel called of the Lord to this work, remember that prophetic engagement with the Meeting is a ministry that may take many years to bear any discernible fruit. And you might never see results. I encourage you to be sure of your leading and your motivations before engaging in this work. I also encourage you to regularly ask yourself what Christ is calling you to now. Another thing to listen for is whether God is calling you to engage in this kind of ministry in your current Meeting. In my own case, I was called to this work for a season. However, God eventually called me out of my previous Monthly and Yearly Meeting and transplanted me into Ohio Yearly Meeting. While I would by no means insist that it is right for you to leave your Meeting, I encourage you to be open to that possibility. In my own experience, I was called out in order to be involved in the development of a new community. Finally, I would encourage you to seek out opportunities to imbibe the community life of Friends groups that place more emphasis on corporate submission to Jesus Christ. Consider joining us for Ohio Yearly Meeting, which takes place in Barnesville, Ohio, August 8-13. Also, you could attend Stillwater Quarterly Meeting or some of OYM’s Monthly Meetings. And you would of course be a very welcome visitor at Rockingham Meeting and Capitol Hill Friends! Also, while I do not have much personal experience of North Carolina Yearly Meeting (Conservative), I have heard that their Yearly Meeting sessions are quite edifying. That might also be another gathering worth attending. I especially encourage you to attend the gatherings of covenanted communities (worship groups, Monthly, Quarterly and Yearly Meetings). These are places where you can really experience the mutual submission in Christ that is so essential for a community that seeks to live as Christ’s Body in the world. 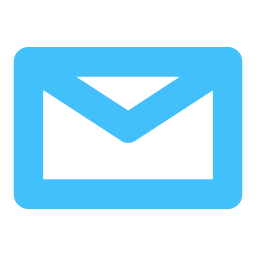 And, of course, I would be happy to correspond with you in the months and years to come. I pray that we may support one another as we seek to be disciples of the Master, gathered together in him. 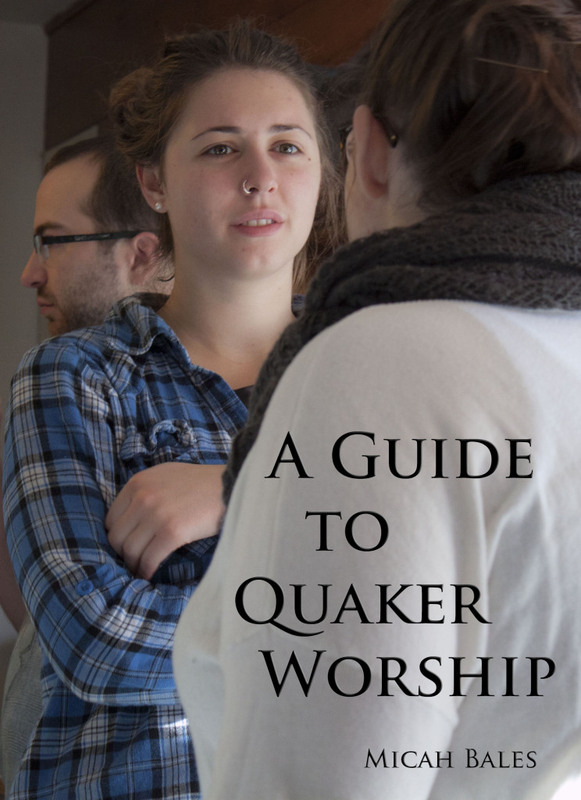 In the decades and centuries following the emergence of the Religious Society of Friends, Quakers have developed our own liturgical calendar based around a series of gatherings for worship, confession and business. Much of this traditional routine is still maintained in Ohio Yearly Meeting. We meet weekly (or more often) for worship, gathering at set times and places. Monthly, we gather with area Friends to conduct business and answer the Queries (confession). Every three months, we meet for Quarterly Meeting, which gathers Friends from the wider region to consider the Queries and any other relevant business. And, once each year, our liturgical calendar culminates in an annual gathering of the entire fellowship. “Now, wait a minute,” some might say, “that’s not a liturgical calendar, that’s just a pattern of church government!” Hard to argue with that. Clearly, our traditional system of Monthly, Quarterly and Yearly Meetings, answering the Queries and doing church business qualify as church government. And yet, it also functions as a calendar for remembrance, confession and prayer. When we gather together in our meetings for worship, we are practicing a pre-arranged remembrance of our Lord. We wait on him in expectant silence, and we welcome him into our midst. We remember him, and he dwells among us, teaching us. When we answer the Queries together, we remember the scriptural injunction to, “confess [our] sins to one another and pray for each other so that [we] may be healed.”(2) When we conduct our business as a church, we take literally Christ’s promise that, “wherever two or three gather together in my name, there I am in the midst of them.”(3) Just as in our meetings for worship, we wait upon Jesus Christ and his Holy Spirit, seeking to be taught and guided as a community. We remember the Lord, and he remembers us. This routine of remembrance that we maintain as Friends has become deeply important to me over the years. Just as weekly meeting for worship is a spiritual landmark for my week, monthly, quarterly and yearly meeting also serve as spiritual markers for me. In many ways, Yearly Meeting is my “Holy Week.” These days and seasons of formal remembrance are deeply helpful in my walk of repentance and new birth in the Lord. Just as I find spiritual depth and meaning in the routine remembrance that we practice in Ohio Yearly Meeting, I also find nourishment in the liturgical calendar of the wider Church. Today is Good Friday, a day that the Christian Church has long set aside for remembering the brutal torture and execution of the Lord Jesus. This day follows a forty-day season of formal repentance, called Lent, during which we pay special attention to spiritually preparing ourselves to remember Jesus’ sacrifice on the cross and his resurrection from the dead. Observing Lent this year has been a blessing for me, deepening my awareness of Jesus’ sacrifice and ultimate victory over the powers of darkness and death. Just as participation in the liturgical calendar of Ohio Yearly Meeting has helped to knit me more deeply into that community, participation in the calendar of the wider Church has helped me to feel more connected to the universal Body of Christ. There is something powerful about joining with millions of other Christians in thousands of other denominations and communions as we seek to be more aware of God the Father of our Lord Jesus Christ. This Sunday, Easter, will be the culmination of the yearly calendar for the worldwide Church, as we remember the culmination of God’s revelation in Jesus Christ. I pray that this season of remembrance will be a meaningful one for you, and that your membership in the Body of Christ be enriched by shared remembrance of our dear Savior. Let us thank him for his self-sacrificial love and invite him into our midst. Come, Lord Jesus! Since becoming a Christian in the Quaker tradition, I have witnessed the wide range of character of many different congregations. There are the obvious differences, like attendance, geography and theology. There are differences in class background, age and the historical pedigree of the Meeting. (1) These factors, and many others, come together to make each Meeting unique, possessing its own character and special mission in its context. There is one aspect of the character of our Meetings that I have sensed for years, but am only now beginning to be able to name. It is a subtle difference in worldview that makes a huge difference in how the Meeting understands itself and manages its affairs. The difference has to do with the way the group understands the relationship between the community and the individual. While different communities fall at different points in a spectrum of attitudes, I have noticed two broad tendencies in the way that our Meetings view themselves and the relationship between the Meeting and the individual members. The first worldview, I will dub freelance ministry. (2) In this understanding, the community exists primarily as a resource for the work that each individual member is doing in the world. The congregation is, in practical terms, a free association of individuals who support one another in their particular callings. The other members of the Meeting may provide advice, emotional and spiritual support, and even financial backing to projects that other members undertake. Often, support consists primarily of fellowship and encouragement for each member in the good work that they do out in the world. Freelance ministry is, in my experience, the most prevalent perspective found among Friends today. It is predominant in most of the Liberal-Unprogrammed Meetings I have visited, as well as in many pastoral and Evangelical congregations. Most of our communities view the individual as the primary recipient of God’s guidance, with the community serving as a resource for that ongoing journey of personal discovery and service to the wider world. The alternative to the freelance worldview is a perspective which I label the Body of Christ view. (3) This view inverts the relationship between individuals and community. Instead of seeing the community as a resource for its members, those who are living in a Body of Christ worldview see the gifts of the individual members as being given by God for the community. Individuals who are members of a community with this outlook understand themselves as existing to serve the wider body, and spiritual gifts – whether vocal ministry, eldership, oversight, or the myriad of other gifts that the Holy Spirit bestows – are given to individuals in trust for the Meeting. In this perspective, it is not so much that an individual is given a gift of administration; instead, the community is given a gift of administration through the individual member. This is why Friends have traditionally recorded gifts of ministry, eldership and oversight: Not primarily to validate the individual, but instead to recognize and care for the gifts that God has bestowed on the Church. This view is much less common than the freelance perspective, and for my first few years among Friends, I encountered it mostly in literature. Many books I read described the importance of having a Body of Christ worldview – and I came to agree, in theory – but I rarely saw this worldview embodied in a living community. For a long time, I wondered whether this understanding was lost to Friends, discarded at some point in the 19th and 20th centuries. Recently, however, I have seen that there are still Friends communities that maintain a way of life that is primarily grounded in a community-centered understanding. in the life of Ohio Yearly Meeting, eventually becoming a member of Rockingham Monthly Meeting, I realize that my own worldview is changing dramatically. While my ideal for Christian community has long been more community-focused, I had always been in contexts where the freelance ministry perspective predominated. I was a member of communities that were primarily focused on the individual, and this could not help but shape me. Though my ideology was more community-focused, in practice I was operating mostly under the assumptions of freelance ministry. This was natural, of course. We adapt ourselves to our immediate context, and for years I was compelled to mostly play by the rules of freelance ministry, even as I sought to encourage a more community-minded ethos where I was. Since becoming a member of a Meeting that leans much more towards the Body of Christ side of the spectrum, I have found my rhetoric and practice shifting. I think much more in terms of “us” than in terms of “me.” When I examine the spiritual gifts of others or those that have been entrusted to me, I look to how they fit into the life of the community, rather than simply admiring them for their own beauty. I am being taught that the gifts that the Holy Spirit entrusts to me should not be the basis for pride – or even identity. Calling and gifts change over the course of a lifetime, depending on the needs of the Body, and I am seeing that it is unwise to build my sense of self on things that are not, ultimately, mine. Safest, certainly, is to build upon the sure foundation that we find in humility and obedience to the ongoing guidance of the Holy Spirit. When I find my identity in Christ, rather than in the gifts he gives, I am much more likely to be flexible and obedient to leadings that defy my own sense of gifting. In a community with a Body of Christ perspective, it is easier to relax and see that the gifts belong to the Church, not to me as an individual. It is easier to submit myself to the group, which in turn seeks to submit itself to Christ. While it is in Ohio Yearly Meeting that I have discovered a community that really prioritizes the Meeting over the individual, I feel certain that there are many congregations outside of the Conservative Quaker tradition that live in a Body of Christ worldview. But it is not surprising that most of our Meetings seem to fall more into a freelance ministry perspective. The wider Western culture is so steeped in individualism, that to put the group first is a radical shift. What are ways that we can encourage movement towards a more community-centered way of life in our Meetings? What does it take to develop a community where individuals are willing to lay down their own opinions, priorities and independence in order to build up the life of the group in Christ? How might we encourage the conditions where individuals can gain the level of trust and intimacy necessary to surrender our own prerogatives in order to build up the Body of Christ? 1. Talking about pedigree is complicated and ridiculous enough for its own series of posts. Is the Meeting Gurneyite, Hicksite, Wilburite? Modernist, Fundamentalist? New Meetings Movement, Neo-Conservative? There is so much confusion and contentiousness surrounding who we are as communities, and a lot of it is based in our history of divisions. 2. Ministry is just an anglicization of the Latin word for word for service, and in this post I am using the words “ministry” and “service” interchangeably. Of course, as Christian communities our service/ministry is done in the name of Jesus, and for this reason has a particular, sacramental character. 3. I take the term “Body of Christ” from 1 Corinthians 12:12-31. A friend of mine recently told me a useful story. The tale itself is almost certainly inaccurate, but the principle involved rings true. Long ago, before Europeans came to the New World, there was a tribe who had never seen the large, wind-powered boats employed by the people of Europe. This kind of vessel was so far outside their experience that, when sailboats appeared on the horizon, the local residents were simply unable to see them. They did not know what to look for. Nevertheless, these people had lived by the sea for generations and were very attuned to the movements of the ocean. Though at first they did not see the boats, they did notice a slight change in the surf. This change, though very subtle, alerted them that some kind of change was coming, days before the Europeans arrived. While I have a hard time believing that sailboats could make a noticeable impact on the ocean’s movements, or that large sailing ships could appear on the horizon for days before the locals were able to see them, I find this image to give a compelling window into our present situation as a global community. Many of us today can sense that we are on the edge of a huge change in our entire way of life as a people. While we cannot truly fathom that which is coming, we sense a disturbance in the fabric of our society. We feel this disturbance in so many ways, large and small. We notice the rise of food prices. We see jerky, chaotic fluctuations in the price of gasoline. Natural disaster strikes regularly, each time more catastrophic. We are increasingly aware of the declining international influence of the US Empire. In Western Europe, the Christian Church has almost completely lost its moral influence and spiritual authority, while Christians in the United States are dropping out of the established churches in droves. Western society is fragmenting as the authorities and powers desperately look for new ways to drive us deeper into consumerism, militarism and fear. Fear is easy to elicit, because we can sense that this is only the beginning. The tumult that we see across the world is deepening. We can feel in our bones that even bigger changes are in the works. We know that the world is fundamentally changing. Though we are unable to conceive of what the change on the horizon will be like, we are already feeling the ripples of it – and the vibrations are growing stronger. Even as the signs of change become clearer, we are still tempted to retreat into denial. The change that is coming is terrifying, because – whatever happens – are forced to acknowledge our lack of control. The days of endless boom, expansion and seemingly limitless resources are coming to an end. Western materialism is crumbling, and we do not know what comes next. My question is, how are we as people of God called to live in these times of deep uncertainty and fear? For those of us who are wealthy by world standards, how can we stop relying on economic security for our peace of mind? What are ways that we can begin living our lives in recognition that Jesus provides for us day by day, even if not in the way that we would have expected or desired? What would it mean for us to repent of our participation in the idolatrous and unjust economic system that at present seems so inescapable? So many today are totally turned off by institutionalized faith. For many years now, “spiritual but not religious” has been a popular mantra. Many of us are interested in a life of faith, but not one that is connected to a particular community or tradition. The Emergent Church movement has borne the marks of this shift. Rather than committing themselves to a particular Christian tradition, many post-modern Christians are experimenting with an eclectic faith, incorporating elements from various Protestant streams, and even Roman Catholic and Eastern Orthodox traditions. The post-modern penchant for diverse worship styles, however, is only the tip of the iceberg. The new paradigm that has been coming to the fore in recent decades often involves not merely a rejection a single normative Christian tradition, it has in many cases resulted in à la carte spirituality. Tradition (Christian or otherwise) becomes an accessory, decontextualized from the communities in which it developed and imported piece-meal into the devotional lives of seekers looking for guidance in their individual quests for meaning. Our quest for a personalized spiritual experience does not stop there. We are increasingly shopping for religious community, too. Millions of Americans today are on an extended church-shopping spree, cycling between various religious communities in search of the “right fit.” For so many, this spiritual scavenger hunt never ends. No church, no human community, can ever fully measure up to our highest expectations. Wherever we go, we will find hypocrisy, moral failure, spiritual blindness and plain stupidity. Yet, we also encounter beauty, sobriety, compassion and faithfulness. In every community, the good is mixed in with the bad. Just like in each human heart. However, so many today are abandoning commitment to religious community in the face of the Church’s failure to live up to the high calling we have in Jesus. The Church deserves critique, as we have certainly failed miserably on countless occasions. We continue to fail, to betray our Lord through our lack of faith and compassion. Despite all of our failings as the Body of Christ, we need the community that we find there. It is through particular communities of believers that Jesus Christ is present in the world and blesses it. However, it is difficult to receive the blessing of community when we are unwilling to accept the good with the bad. It is unlikely that we will receive the benefit of Christian community when we come to be served rather than to serve, to be fed rather than to feed others. I do believe that each of us has a great deal to learn from other Christian communities and traditions, and even from non-Christian communities and traditions. I see value in efforts to reach across historical divides and find how God is present in other historical manifestations of Christ’s Church. However, these explorations are always done from a particular context. My own context is Orthodox Quakerism. As an Orthodox Friend, I am embedded in a living community of faith that stretches across the United States and the world, and my community is enriched by the tradition we receive from our ancestors through writings and inherited institutions. However, the crux of our tradition is the ways that we embody it in our present-day life together. Gathered together as Friends of Jesus, we live an embodied tradition that cannot be summed up in writing, historical markers or buildings. Tradition is enfleshed in our imperfect community as we strive to be faithful to the ongoing teaching of Jesus Christ in our midst. This kind of incarnation is a full-body experience, not the adoption of certain quaint customs, procedures or an intellectual lineage. The essence of who we are as God’s people cannot be learned from books, and we cannot pick it up through occasional church-shopping visits. It is a reality that must be habitually lived and absorbed in community. This is the tragedy of our “spiritual but not religious” generation, our age of tradition-swapping and consumeristic religion: It simply does not work. Tradition and human community cannot be separated from one another, and not even those two things together can substitute for long-suffering submission as individuals to the community, and the community as a whole to Christ’s Holy Spirit. There is no buying that. In the first generation of the Quaker movement, news of the gospel spread across Britain from house to house, city to city. Quickly, the message was taken abroad to the continent of Europe and to the British colonies in the Americas. These early years of Quakerism were characterized by an untamed passion for sharing the good news, inviting others into spiritual communion with Christ and with each other. This good news spread largely outside of official channels. While Margaret Fell provided practical aid and a communications hub at Swarthmoor Hall, there were not initially formal structures for organizing the wave of evangelism that proceeded from the north of England. The Religious Society of Friends began as an organic movement of the apostolic faith. The Lord called women and men to ministry, and they responded with obedience. Christ used these 17th-century apostles to preach the word and gather his people together. Everywhere the traveling evangelists went, the Holy Spirit raised up local leaders and established new communities. Within decades, this burst of pentecostal fervor had established an organic network of Meetings across Britain and the American colonies. Yet, just as this movement reached the peak of its intensity in the early 1660s, severe persecution came. Friends organized themselves in increasingly centralized bodies – Yearly Meetings – as a way to coordinate their response to nationwide persecution, especially in England. The persecution eventually passed, but Friends’ new emphasis on centralized structures remained. Over time, passionate, evangelical faith diminished and institutional centralization increased, accompanied by an increasing reliance on procedure as a source of authority. Eventually, many Friends would come to believe that it was procedure that defined them. Orthopraxy and institutional authority increasingly usurped the unpredictable guidance of the Holy Spirit. Today, Friends are steeped in the institutional apparatus of former generations. We appoint members to committees and boards. We govern non-profit organizations. We manage historical sites. We are generally nice, respectable, civic-minded people. But where is the spiritual power? What happened to the fire that drove early Friends to cross oceans? What became of the radical faith that led women and men to face death, torture and imprisonment? How often are we imprisoned for the gospel today? How many of our Meetings actively support the spread of the good news that Jesus Christ is here to teach us himself? We are often so busy maintaining the institutional legacy of our ancestors that we spend more time keeping up buildings than we do sharing the good news of Jesus with our neighbors. But that does not have to be the end of the story. Just like the early Friends, we have an opportunity to challenge the status quo and live into the fantastic life and love that Jesus reveals in our hearts and in our life as a community. It is important to remember that those early Quakers we admire so much got into a lot of trouble. They upset people and caused division in their communities. They were not popular among respectable people. Are we today ready to take the same kinds of risks for Truth that our spiritual ancestors did? How can we support one another in breaking out of business as usual and re-discover the mission that Jesus has for us? What does radical discipleship look like in 21st-century America?